Do you want your products or services to be found in internet searches? Ranking prominently in organic search results for valuable keywords and customer queries is a vital consideration for all modern websites. SEO is the practice whereby the amount and quality of organic traffic (i.e. from unpaid searches) to your website via search engines, primarily Google, is increased. Pretty words on their own are a waste of your time and money if no one can find your products and services on the internet or figure out how to use your website. People find information on the internet by researching extensively on Google, YouTube, Facebook, and other search engines. Websites that rank highly in search results for customer queries attract far more business than those that don’t. The most effective way to achieve consistently high, sustainable rankings in search results is organically – through search engine optimisation (SEO). Effective SEO depends on relevant content, matched to appropriate stages of the customer journey. SEO best practice is about more than just finding keywords and stuffing them on the page and in title tags. In fact, this type of practice is likely to be counter-productive. 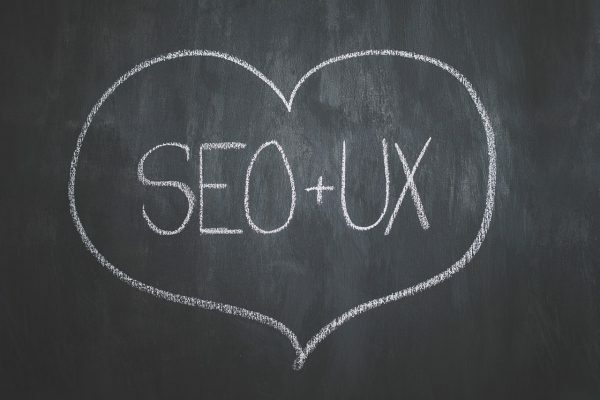 Getting a return on your investment requires a team effort to tune your website and its content so everything is focused on the user experience. It includes a well-researched keyword strategy that also recognises buyer intent by providing answers to customer queries on each page. It also involves technical areas such as web design, architecture, and functionality. For example, structured data on your website is a vital part of optimisation. The bottom line is to make sure that you’re meeting genuine customer needs, and solving legitimate business challenges. We’ll partner with you to get you noticed by your customers, and to build sustainable traffic and conversions. Thoroughly understanding the identity and needs of your target audience, and how your products help them. Identifying the terms your customers use to search for answers to their problems. Looking into what your competitors are up to. Ensuring your website has user-friendly design (UX) and page navigation, especially on mobile devices. Technical SEO aspects such as structured data (Schema), and an effective linking strategy. Well organised, substantial, quality web content that provides real value to your site visitors. Local search optimisation, including Google products (more emphasis on being found). Hook up to analytics tools so you know what’s working, and how this relates to your goals. While most of our SEO work is part of new website development, we do have a process for helping people with existing sites to improve their rankings and site traffic by refreshing the SEO. Our reputation is built on providing trustworthy advice, so we will tell you straight what we think is the best course of action. A word of warning (not trying to put you off or anything!) – when we assess an existing site to see what needs to be done, we do frequently uncover technical issues that also need to be fixed. We’re stateside with Palisade Compliance’s global site. We’re helping to enhance their SEO and we’re reporting on search engine and user interactions with their website. Our SEO efforts alongside Wellington printing company City Print Communications have resulted in a significant increase in both their website traffic, and quote requests (conversions). Our revamp of user-friendliness and SEO on cleaning and gardening company An Extra Pair of Hands’ website has resulted in a pronounced increase in traffic, and revenue growth. Find out more about what we’ve achieved. Request an estimate for SEO work, or find out more info?